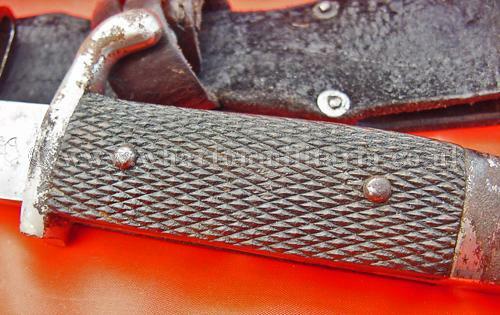 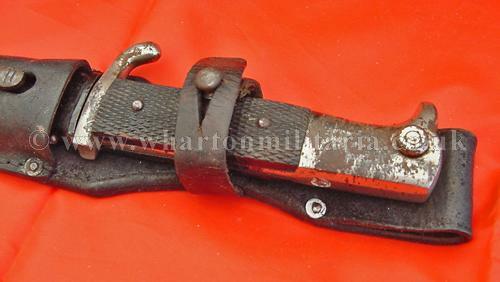 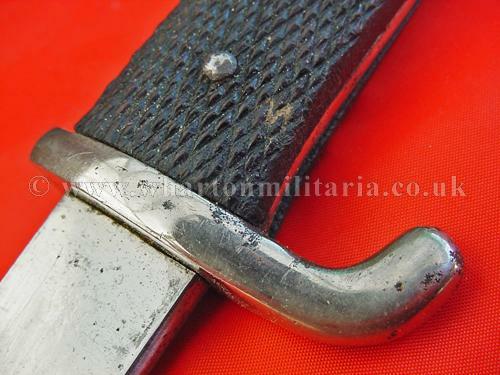 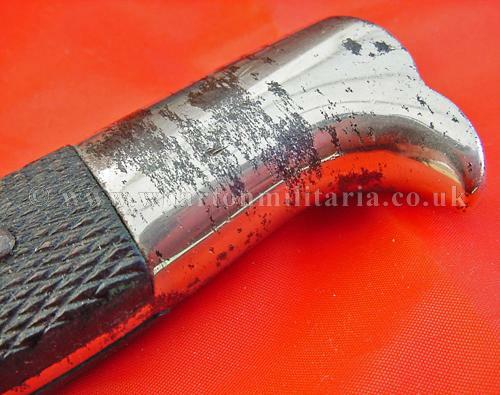 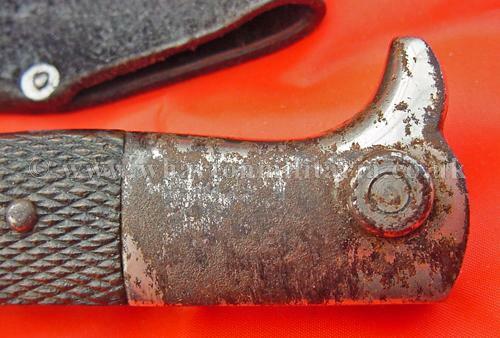 An early pre-war to WW2 German short model dress bayonet with nickel plated birds head pommel, chequered black grips and nickel plated up swept quillion on the crossguard. 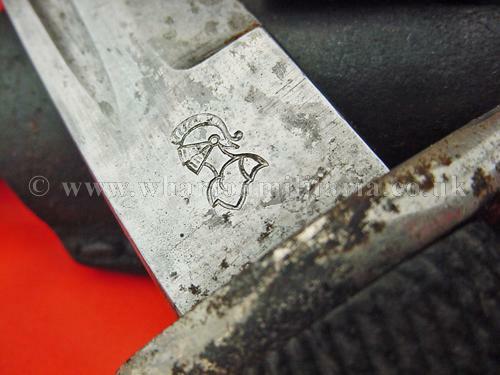 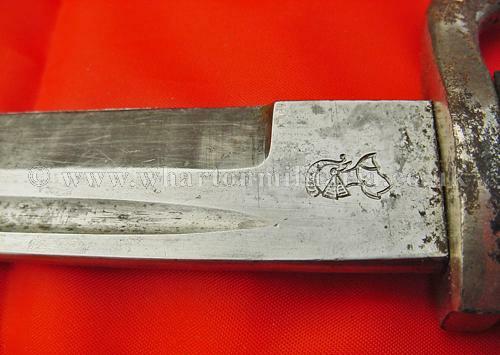 The 7.5 inch single edged, fullered and polished blade maker marked with the early knights head logo of WKC (Weyersberg, Kirschbaum & Cie), Solingen. 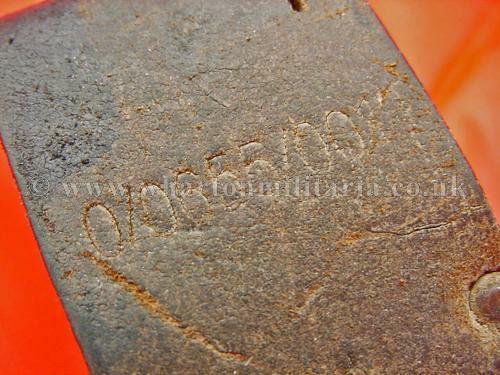 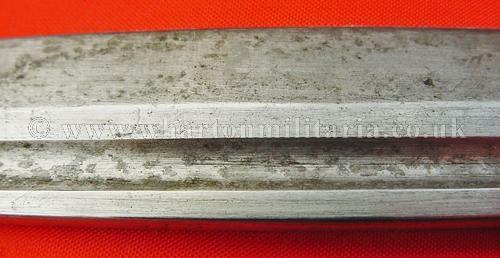 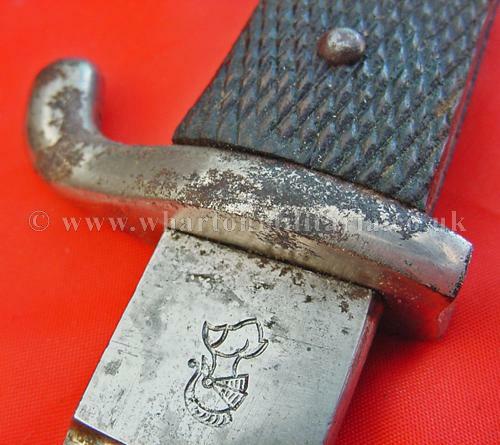 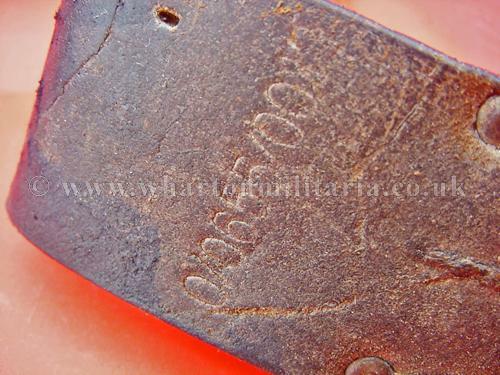 Metal scabbard in excellent condition with undamaged ball, complete with numbered brown leather frog. 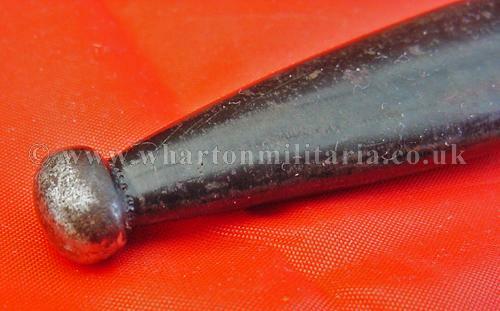 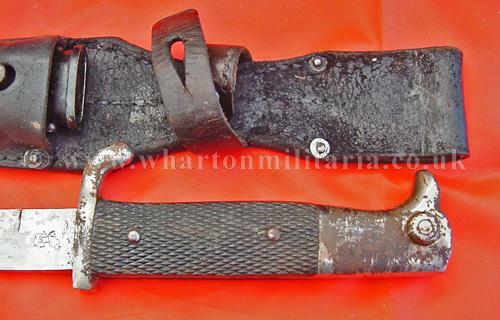 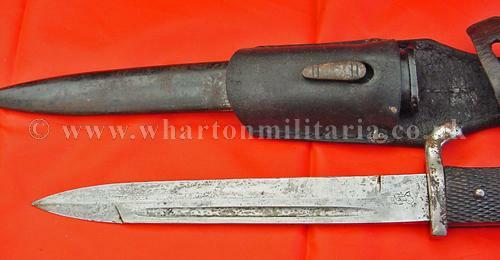 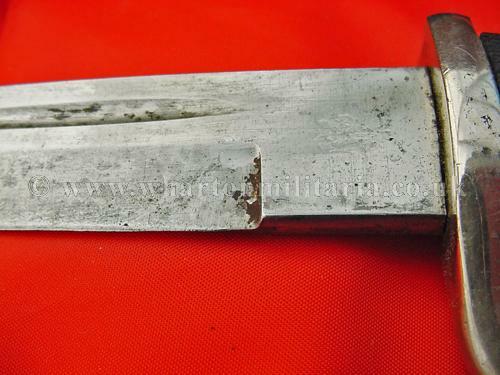 A fine example of an early short model dress bayonet.